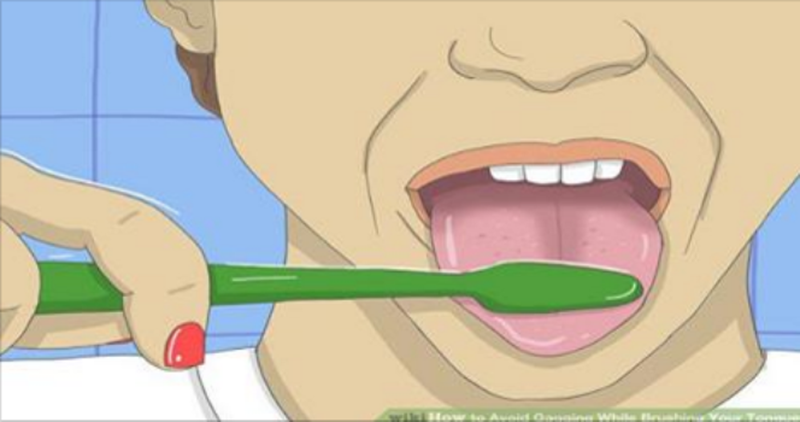 Brushing and scraping your tongue is equally important as brushing your teeth. The top side of the tongue has the largest refuge of odor producing bacteria in the mouth, together with the nutrients they feed on. Cleaning your tongue regularly will prevent cold and cough, and other throat and oral inflammation. Take a tooth brush and add some baking soda and toothpaste. First, brush only the front part of the tongue, and then gradually go to the middle and the back (the deeper you go, the more effective it will be). Afterwards, rinse your mouth several times with water. Make sure you disinfect the toothbrush after the procedure to remove all the bacteria that might have left.